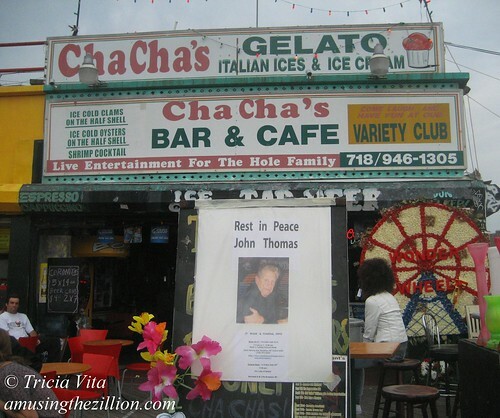 On Sunday, we came upon this touching tribute to Coney Islander John Thomas, who passed away on September 10. “JT” was the longtime manager of Cha Cha’s as well as its predecessor Club Atlantis. Next Saturday his ashes will be scattered in Coney Island. Rest in Peace, JT.